Finally! It’s Spring!! And if it’s Spring, can the opening day of trout season be far behind? Picture this: It’s a warm, sunny Spring day and you’re standing along Fishing Creek near the bridge into the Scout camp near Benton. It’s quiet except for the occasional call of a bird and the sound of the rushing water. Looking into the clear water, you see a flash of gold. It’s a palomino trout darting along the stony creek bottom. And suddenly, you’re in your happy place! For adult anglers, the magic time to start fishing for trout is 8 a.m. on Saturday, April 13. However, youth under the age of 16 can join an adult angler who has a current fishing license and trout permit on Mentored Youth Fishing Day Saturday, April 6, and fish on stocked trout waters from 8 a.m. to 7:30 p.m. 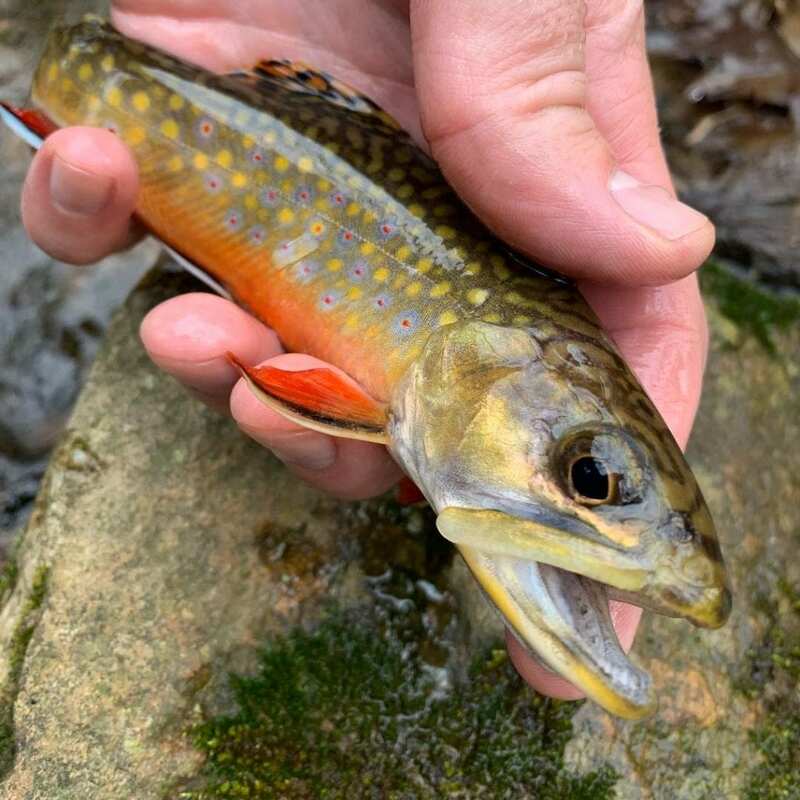 In preparation for opening day, the Pennsylvania Fish and Boat Commission began stocking adult trout in area streams on March 1. To find out what streams are being stocked, visit the Commission’s stocking page on their website. Many of the streams are in Columbia and Montour counties. 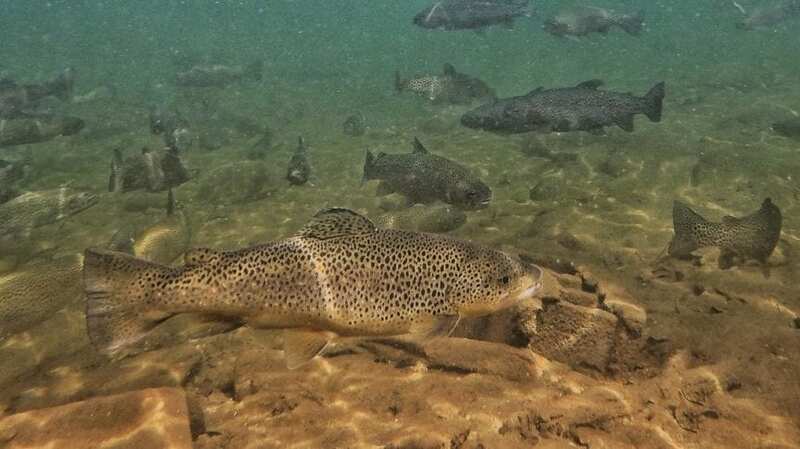 Fishing Creek, one of Pennsylvania’s legendary fishing destinations for avid trout anglers, runs through Columbia County and is considered to be one of the finest trout streams in the state. There are numerous public and private fishing areas along the creek, which is stocked in several locations. One of those locations is along Camp Lavigne Road north of Benton, scheduled for April 8. Another good location in Columbia County is Briar Creek Lake near Berwick. That’s scheduled for stocking April 4. In Montour County, Mahoning Creek, Roaring Creek and Mauses Creek are all scheduled to be stocked. If you’d like to introduce a kid to fishing, what better opportunity than the Mentored Youth Fishing Day? To participate, youth anglers must be under the age of 16 and obtain a free Mentored Youth Fishing Permit or purchase a Voluntary Youth Fishing License from the Commission. They must be accompanied by a licensed adult angler. Youth may harvest up to two trout (combined species) with a minimum size of 7 inches. All other Commonwealth Inland Water regulations also apply. The Voluntary Youth License costs $2.90. To fish on Mentored Fishing Day, adult anglers 16 years of age or older must have a valid Pennsylvania Fishing License and a current Trout/Salmon Permit, and be accompanied by a youth (less than 16 years of age) who has obtained a Mentored Youth Fishing Permit or Voluntary Youth Fishing License from the Commission. While adult mentors will be permitted to fish for trout on April 6, any trout they catch must be released unharmed. For more information on Mentored Youth Day and the licensing process, visit the PA Fish & Boat Commission’s official page. 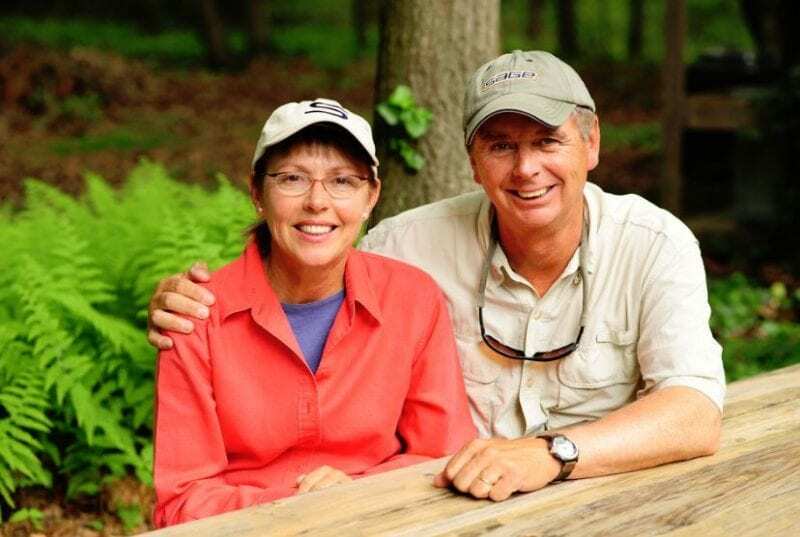 If you’ve ever wanted to learn fly-fishing or you’re experienced but would like to improve your technique, Cathy and Barry Beck can help you with any aspect of the sport. Located near Benton, the couple has more than 30 years’ experience with fly-fishing instruction. Schedule a couple hours of private lessons tailored to specific requests or start from the beginning. If you’re a new angler, they will cover casting, shooting line, roll casts, presentation and retrieving. After that you’ll move to their private pond for hooking, fighting, landing and releasing fish. For new anglers they suggest three hours of instruction. If you’re coming to improve your cast or to learn a new technique such as double haul, extending your cast, or better presentation, come for one or two hours of instruction. Or sign up for the Becks’ 1-Day Learning Package. Come for a private lesson in the morning, then after the lesson and lunch, spend the afternoon on private water with an instructor/guide. This package includes the lesson, lunch and the afternoon of guided fishing. Your guide will cover wading safety, reading water, approach, presentation, knots and much more. Ask lots of questions as this is your opportunity to have a tutor for the day. The Becks also offer a Country Life Experience for families in partnership with Springdale Farm and The Lodge at Raven Creek. The program includes a 2-night stay and a big day of adventure and exploring followed by an evening campfire with marshmallows, hotdogs and hamburgers under the summer night sky. In a day packed with outdoor fun, the kids can learn fly fishing, get in a kayak, go on a waterfall trail hike, feed the horses at the farm, or splash around in the stream. in Center and Huntington Couties . The Electrol Shocking and stream serve’s.